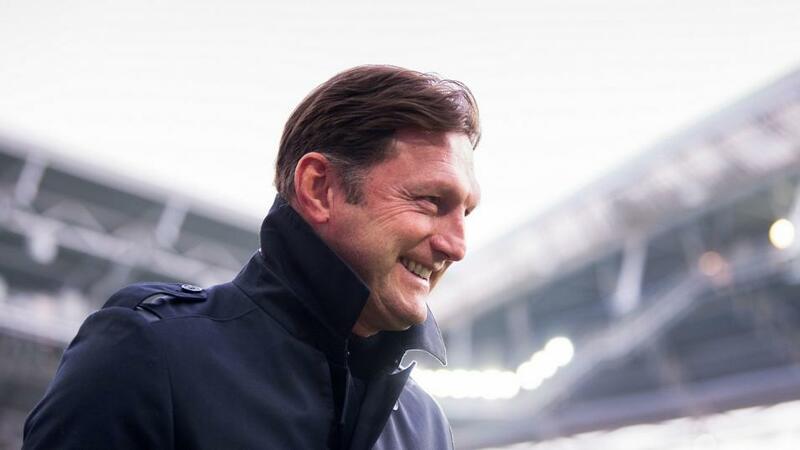 "Southampton have taken 24 points from 17 games under Ralph Hasenhuttl and three wins from their last five matches, including a home victory over Tottenham, have put them on course to stay up." Southampton still have work to do to maintain their Premier League status but the Saints are on their way to safety under Ralph Hasenhuttl. The Austrian was appointed in December to replace Mark Hughes with the team in the relegation zone. He has significantly improved the side and they now find themselves five points clear of the bottom three in 17th place. The Saints have taken 24 points from 17 games under Hasenhuttl and three wins from their last five matches, including a home victory over Tottenham, have put them on course to stay up. Shane Long fired them into the lead against leaders Liverpool last week but two late goals sent Southampton to a 3-1 home defeat. The team have a valuable cushion over 18th placed Cardiff and it would be a surprise if they were relegated after the progress made under the former RB Leipzig boss. It has been a superb season for Wolves following their promotion from the Championship. Nuno Espirito Santo's side have looked completely at home in the top flight and have a realistic chance of qualifying for the Europa League. Wolves are eighth in the table and have claimed notable wins over Chelsea, Tottenham and Manchester United this season. However Wolves come into this weekend after a heartbreaking FA Cup semi-final defeat to Watford on Sunday. The side were on the brink of a place in the final, after goals from Matt Doherty and Raul Jimenez, taking a 2-0 lead. But an injury time penalty from Troy Deeney forced extra time and substitute Gerard Deulofeu scored his second goal to clinch a stunning 3-2 win. It would be no surprise if Wolves suffered a hangover this weekend following their crushing disappointment. Southampton are [2.68] favourites and the hosts merit support this weekend. Hasenhuttl's pressing tactics have improved the side and their results during the second half of the season are not the form of a struggling side. The Saints still need points to secure safety and backed by their fans can claim an important victory over a Wolves side which could still be feeling the after effects of their painful cup defeat. Wolves are [3.05] to claim a victory at St Mary's but the visitors are easy to swerve. Santo's team played 120 minutes, two days after Southampton, so will not be as fresh as their opponents. Wolves have failed to win their last four away matches and have not been as impressive against teams in the bottom half. Two defeats to relegated Huddersfield underline Wolves are better suited to facing the top sides. The draw is available at [3.25] and certainly comes in for consideration as Southampton have been held a league high nine times this season. But the Saints have gone seven matches without a draw and only one of Wolves' last five league games have ended level. On balance, a home win looks the best bet although the more cautious might want to back Southampton draw no bet at [1.86]. Southampton have struggled for clean sheets this season and 11 of their last 12 home matches have seen both teams score. Wolves have plenty of firepower, with Jimenez scoring 16 goals for the club this season, so are fancied to get on the scoresheet. Using Betfair's Same Game Multi, backing Southampton to avoid defeat in the double chance market and both teams to score enhances the odds to a tempting 2.57. Wolves have not kept a clean sheet in any of their last 12 Premier League away games and are without a win in their last four on the road. The visitors are 2/1 to prevent Southampton from scoring this weekend.